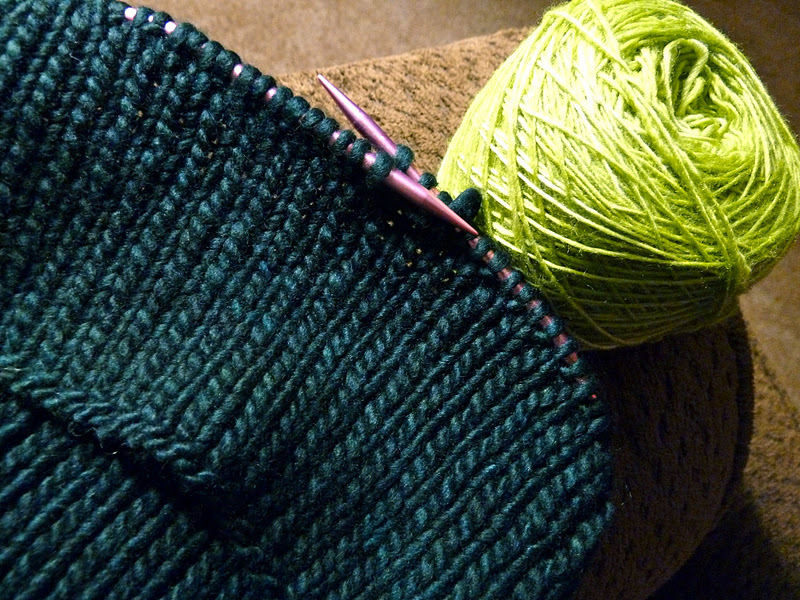 Affiknitty -: WIP Wednesday - Now That's Customer Service! When I think of holiday knitting, I think of Malabrigo. I've also been drawn to two-color knitting patterns lately. So, it seemed like a natural decision to make a few Howlcats for Christmas presents. thanks to The Knitting Squid this time! Off I went trolling the internet for beautiful color combinations of one of my favorite yarns. 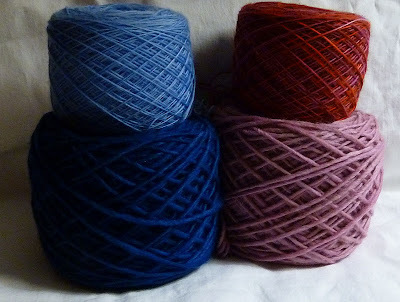 Unfortunately, my usual online yarn haunts, such as Jimmy Beans and WEBS, were low in stock of the soft squishy stuff. After much searching and clicking, I happened upon The Cozy Ewe. I was excited to see a huge selection of color as well as the words "sale price". The choices were almost overwhelming in their abundance but I managed to narrow it down. I clicked through the ordering process, and immediately received a confirmation email. The next day I was surprised to see a new email with the subject heading "Refund from the Cozy Ewe". At first, I was concerned they were refunding my order because they were also out of stock. 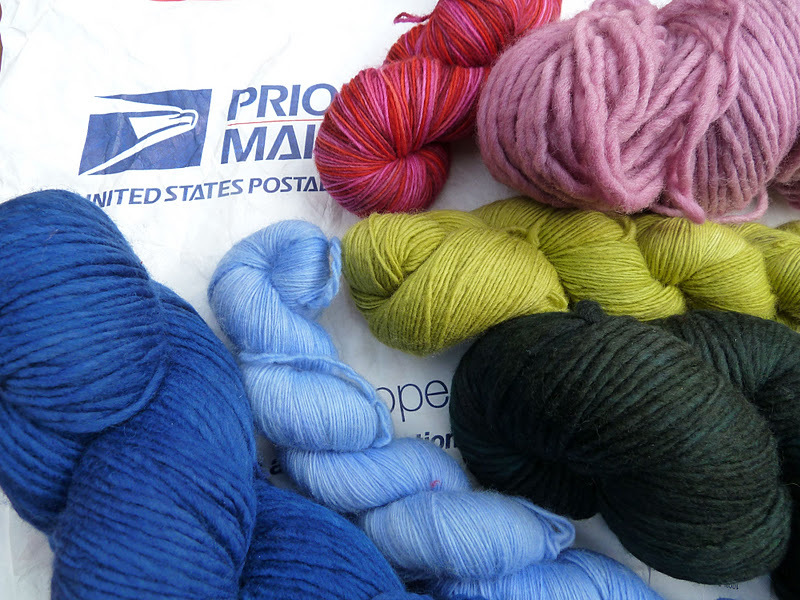 Upon opening the email however, I was delighted to find that the shop owners had taken it upon themselves to send the yarn by priority mail which was faster and cheaper than the ground shipping I'd selected, and they were refunding part of the shipping cost to me! I am still knitting away on the sleeves and collar of my MIL's Emily, but these Howlcats are the perfect portable knitting project for a busy Fall. I cast on for the green one first. Malabrigo worsted in "Cypress" and Malabrigo lace in "Lettuce"
For more fiberphile eye candy, be sure to visit WIP Wednesday at Tami's! Great pattern and I love the yarn you've cast on, such a beautiful colour. I've never knit with Malabrigo, but it is first on my list for when my yarn diet ends! Love that hat!!! And love your color combos. That is fabulous customer service! And, I LOVE Dull Roar! What a great week for you! I immediately added this one to my faves when I saw it on The Knitting Squid, too. Such a versatile and fun looking pattern. That Cypress and Lettuce combo is to die for! Great looking yarn *envy* and I've added the Howlcat to my queue too! Great idea. ooh what is a howlcat??? it looks really interesting! i love the colours you've chosen, so fun!! Wow all that yarn looks lovely! I'm very intrigued by the howlcat! Ooh, that hat looks super cool! I've added it to my queue! Love your color combos, too. I haven't tried Malabrigo yet. Though one did try to attach itself to my hand once. Love the colors you got. Taxiing down the knitting runway. ha ha. Wow, that is great customer service. Thanks for recommending them!